With a deal now made, busting out comes easier. And being the short stack with only 20 big blinds also makes it easier to try and go for a double up. Abdallah Fakhreddine was the shorty after the deal and he found A♣ Q♠. In front of him Maxime Canevet raised with T♠ T♣ and Abdallah moved all-in. Canevet called quickly and the board fell 3♦ 5♥ 8♦ 8♥ 5♦. This meant Abdalah was out in 5th place and Canevet won another huge pot. 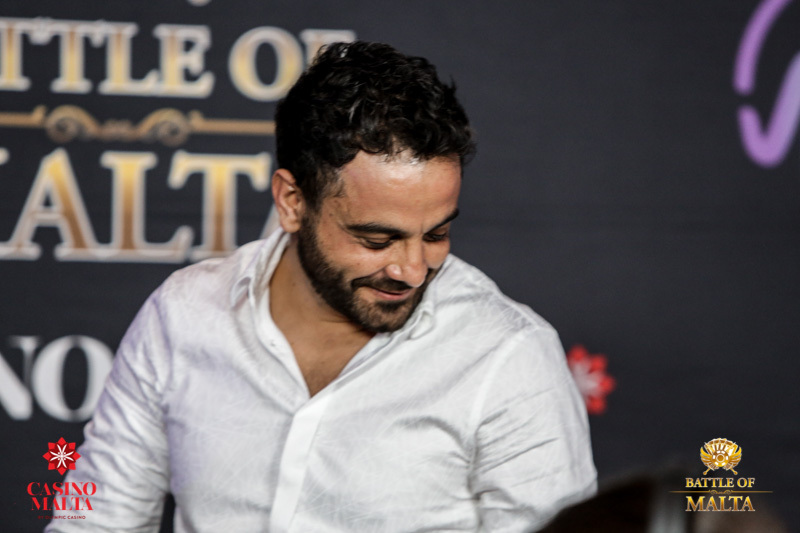 The Battle of Malta was Abdallah Fakhreddine’s first ever live tournament and his inexperience might have shown in some spots. But the Lebanese hair salon owner played with a lot of heart and soul and he took home €108,500 – not too shabby for a first tournament! Now Maxime Canevet has almost half of the chips and it’s his tournament to lose.